Revive yourself by rejoicing the smaller joys of life on the luxurious Ethan 2 Seater Sofa with Rocker Incliner. The smooth and soft material of the sofa will aid in relaxing after a long tiring day at work. 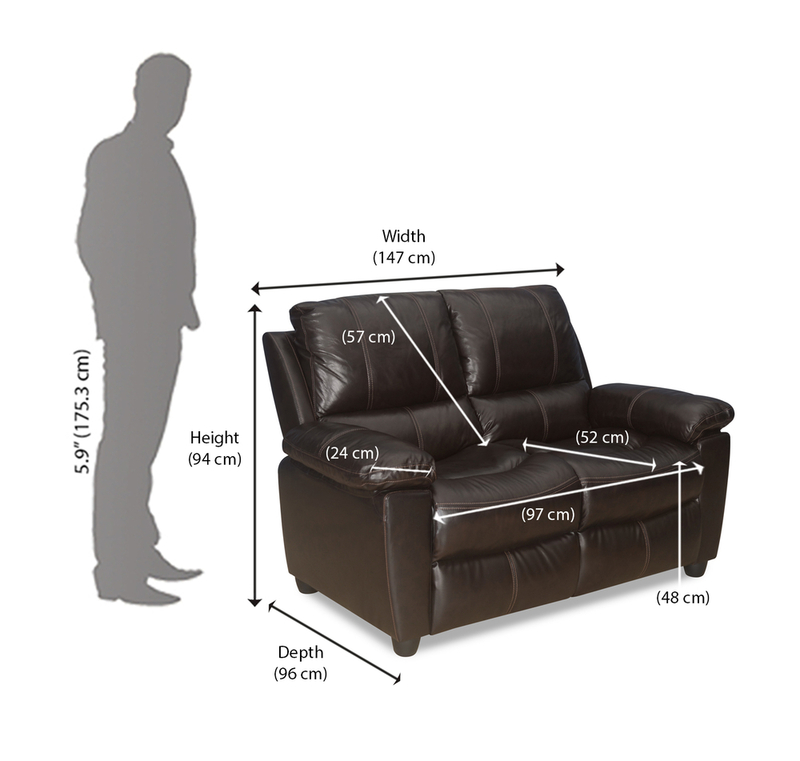 The recliner feature is as simplified and user-friendly, making it a delightful experience. Place is across your hallway, next to the French window and let the sturdy frame and long-lasting material serve a long life along with complementing your royal decor preferences just about right. Ethan brings a classy yet laid - back feel to your living space with it's contemprery design.Sofa comes in 3+1 Manual recliner and 2 as a fixed seater.